If you have found yourself in a position where you have a family member, partner, husband, wife or friend who has a physical disability or is suffering from mental health issues, then the chances are that to some extent you look after them, care for them and love them, whether that is a full time need or on a more ad-hoc basis. It’s hard to cope with, so who cares for the carers? Whatever the circumstances, it is tiring – both physically and mentally. 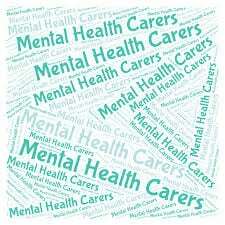 Unfortunately the following question is rarely asked: Who cares for the carers? It might sound obvious but if you don’t look after yourself you will find it increasingly difficult to help them. You can get help if you need or want it, if your partner or family member has mental health issues and you have to be there for them through the inevitable up and downs, be there with a shoulder to cry on, calm them down if their anxiety levels are high, talk to them when they are low, it is a 24/7 worry. How do you switch off? Who do you turn to so that you don’t follow them in to the abyss? Who has got your back? Yes you can talk to your doctor but you have to wait nearly 2 weeks to get an appointment. You can go and see a therapist, but you have to go through the doctor first to be referred and that is not a short process. You virtually need to have a break down yourself before anybody will see you. So who cares for the carers? You have friends but after a while they stop asking how you are coping. After all, everyone has their own issues to deal with. Outside your immediate family there are other family members but perhaps they don’t ask if they can help with anything. Maybe you don’t want to ask. Many carers create a mask that they hide behind, pretending they are fine. Scared that if the masks cracks they won’t be able to put themselves back together. When you do get five minutes to yourself what do you do? Still worry of course. Are they OK? Have I left them for too long? NO just rest a bit if you can. You need to be 100% as they are not and you can’t help them if you are falling apart. So in short, who cares for the carers? First and foremost it is you. You must look after yourself before you can look after anyone else. You have to find someone to talk to. Even if they can’t advise on what you should do, sometimes you just need to unload a bit and get your frustrations out. We all need someone to listen. Just 10 minutes over a coffee can make all the difference. Don’t suffer in silence. Seek the help you need – it’s probably closer to home than you think.